Musical revisionists often view the outstanding Getz/Gilberto (Verve, 1963) as the point of ignition for the stateside bossa nova explosion of the early '60s, but those in the know are fully aware that Jazz Samba (Verve, 1962) is the album that actually lit the fuse. While saxophonist Stan Getz's classic recordings with Antonio Carlos Jobim, Joao Gilberto and Astrud Gilberto have taken their rightful place at the top of the heap, his earlier, trailblazing collaboration with guitarist Charlie Byrd is of greater importance in the big picture of jazz history. Byrd became enamored with Brazilian music during a State Department-sponsored tour of South America and couldn't hide his enthusiasm when he returned to America. He exposed Getz to the magical strains of sound that he encountered during this jazz junket and they joined forces to create one of the finest examples of stylistic fusion in the history of music. They put their signature sound prints atop bossa nova structures and struck a chord of interest that still resonates throughout the world today. 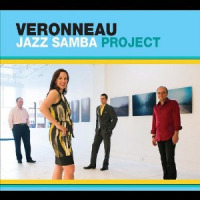 Now, a full fifty years after Byrd and Getz joined Brazilian music and jazz in holy matrimony, Veronneau pays tribute to that triumphant teaming with its own Jazz Samba Project. Subtle bossa nova beats, lightly strummed guitars, seductive horn work and attractive vocals are served up in sensitive fashion during this highly enjoyable program. Vocalist Lynn Veronneau and her able-bodied band mates deliver a ten-song program that honors the historic pairing of Charlie Byrd and Stan Getz but stands on its own as a separate work. 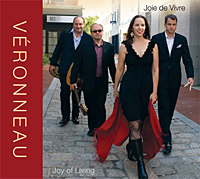 Veronneau visits the past with performances of Ary Barroso's "E Luxo So," Baden Powell's "Samba Triste" and Jobim's "One Note Samba," but the group doesn't live in the past; the inclusion of a bossa-tinged take on a Bob Marley classic ("Waiting In Vain") and a gently swaying original ("September Moon") prove this point. Lynn Veronneau's easy-going vocals, whether in Portuguese, English or French, set the tone here and everybody falls in line with her measured mannerisms. While Brazilian jazz has become more buoyant and boastful over the years, Veronneau's version hearkens back to a time when less-is-more delivery and dynamic sensitivity were key elements in the architectural design of the music. This band clearly understands the nature of Jazz Samba and honors that classic recording through its own fine work. Track Listing: E Luxo So; Waiting In Vain; September Moon; Mas Que Nada; Meditation; One Note Samba; Samba Saravah; Samba Triste; Autumn Leaves; Wave. 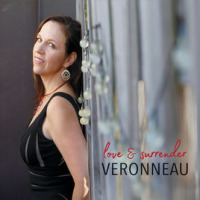 Personnel: Lynn Veronneau: vocals; Ken Avis: acoustic guitar, vocals; David Rosenblatt: acoustic guitar; Pete Walby: drums; Jeff Antoniuk: tenor saxophone (1, 6, 8, 10); Alejandro Lucini: percussion; Jim McFalls: trombone (1-5, 9).